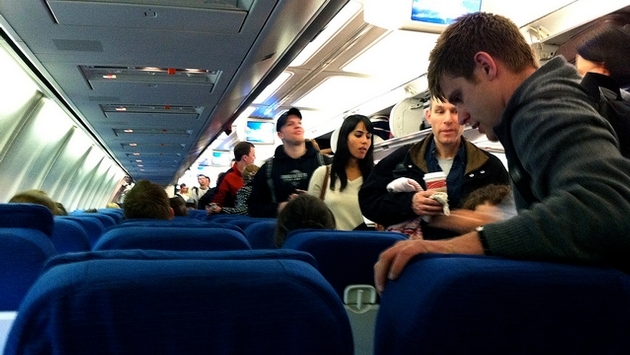 Did American Just Make The Boarding Process More Confusing? American Airlines has decided to re-classify its boarding process, saying the order will remain the same but the group names will change – with a few additions in some of the groups. The new process, which starts on March 1, comes in the wake of American starting its new basic economy fare option. Basic economy is the least expensive fare on every fight but forces the ticket buyer to give up some past luxuries, including restrictions on using overhead bin space and being forced to board last and find any available seat instead of having a seat assignment. But does that streamline the process, or make it more complicated? According to MarketWatch, American is no longer announcing the members of its first four groups by name and is, instead, listing them from groups one through nine. So allow us to perform a public service and break down how it’s going to work for you starting next week. The former name is listed first, and the new group listed second, and the differences.